The Mandarin Training Center at National Taiwan Normal University has produced teaching materials since 1967, including over 50 publications used in language centers all across Taiwan. Our core teaching series Practical Audio-Visual Chinese has been in circulation for almost 20 years; however, in order to adapt to the changing cultural landscape and to advances in pedagogy and educational media, we are publishing a new learning series, A Course in Contemporary Chinese. This exceptional six-volume series distinguishes itself from other teaching materials through its seamless integration of theoretical research findings and practical teaching expertise. 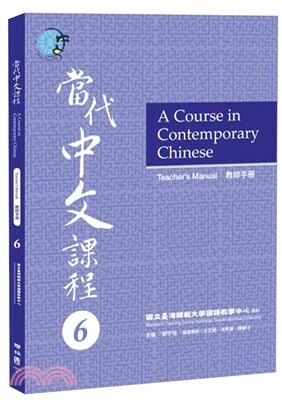 The development of this new material has been led by Chief Editor Dr. Shou-hsin Teng, an esteemed linguist with many years of classroom experience in the United States teaching Chinese to foreign students, and whose research demonstrates unique insight into pedagogical grammar and the Chinese language. Equipped with a unique parts-of-speech framework, this series will effectively prevent students from producing errors in communication. Whereas other teaching materials often present several related grammatical constructions at the same time and put emphasis on repetitive drills without clearly explaining the unique grammatical function of each construction, the grammar sections of our series present one construction at a time. The description of its function is followed by example sentences and notes on the usage of each structure. We hope that all six volumes of this series will be in publication before the end of 2018. I would like to express my deep gratitude to Chief Editor Teng, who has been dedicated to this project since initial preparations began in 2012, and to our team of eighteen seasoned educators who found the time outside of their busy teaching schedules to enthusiastically participate in the writing and editing process. The series has benefited from the invaluable feedback provided by our consultants in the United States, Professors Claudia Ross, Jian-hua Bai, and Yea-fen Chen, and review committee: Professors Teh-ming Ye (Taiwan), Tao-chung Yao (US), Cheng-zhi Chu (US), and Xun Liu (China). Each volume of the series has already been in trial use at MTC and other language centers throughout Taiwan for roughly one year. Incorporating a wealth of feedback, from the thoughtful guidance of our consultants to the meticulous evaluations of our review committee to observations from instructors and students, the series has undergone multiple revisions before being sent to the press in its final form. Over the course of this entire process, our editorial team has worked tirelessly and I would like to express my sincere gratitude to them: Associate Research Fellow Liping Chang, Tai-chi Chang, and Ru-pei Cai and Wen-wen Chang from the MTC division of teaching material development. Lastly, I would like to thank Linking Publishing Company for their professionalism and whole-hearted commitment to ensuring that this series be published with the greatest possible quality. It is our hope that A Course in Contemporary Chinese will not only serve as an effective, useful resource for students, but also will facilitate an enjoyable, enriching teaching experience for instructors. We invite instructors in Taiwan and abroad who use this series in class to send us comments and/or suggestions so that we can continue to improve the Course and thus make an even greater contribution to the teaching of Chinese as a foreign language. Finally, after more than two years, volume one of our six-volume project is seeing the light of day. The language used in A Course in Contemporary Chinese is up to date, and though there persists a deep ‘generation gap’ between it and my own brand of Chinese, this is as it should be. In addition to myself, our project team has consisted of 18 veteran MTC teachers and the entire staff of the MTC Section of Instructional Materials, plus the MTC Deputy Director. The field of L2 Chinese in Taiwan seems to have adopted the world-famous 'one child policy'. The complete set of currently used textbooks was born a generation ago, and until now has been without predecessor. We are happy to fill this vacancy, and with the title ‘number two’, yet we also aspire to have it be number two in name alone. After a generation, we present a slightly disciplined contemporary language as observed in Taiwan, we employ Hanyu Pinyin without having to justify it cautiously and timidly, we are proud to present a brand-new system of Chinese parts of speech that will hopefully eliminate many instances of error, we have devised two kinds of exercises in our series, one basically structural and the other entirely task-based, each serving its own intended function, and finally we have included in each lesson a special aspect of Chinese culture. Moreover, all this is done in full color, the first time ever in the field of L2 Chinese in Taiwan. The settings for our current series is in Taipei, Taiwan, with events taking place near the National Taiwan Normal University. The six volumes progress from basic colloquial to semi-formal and finally to authentic conversations or narratives. The glossary in vocabulary and grammar is in basically semi-literal English, not free translation, as we wish to guide the readers/learners along the Chinese 'ways of thinking', but rest assured that no pidgin English has been used. I am a functional, not structural, linguist, and users of our new textbooks will find our approaches and explanations more down to earth. Both teachers and learners will find that the content resonates with their own experiences and feelings. Rote learning plays but a tiny part of our learning experiences. In a functional frame, the role of the speaker is often seen as prominent. This is natural, as numerous adverbs in Chinese, as they are traditionally referred to, do not in fact modify verb phrases at all. They relate to the speaker. We, the field of Chinese as a second language, know a lot about how to teach, especially when it comes to Chinese characters. Most L2 Chinese teachers world-wide are ethnically Chinese, and teach characters just as they were taught in childhood. Truth is, we know next to nothing how adult students/learners actually learn characters, and other elements of the Chinese language. While we have nothing new in this series of textbooks that contributes to the teaching of Chinese characters, I tried to tightly integrate teaching and learning through our presentation of vocabulary items and grammatical structures. Underneath such methodologies is my personal conviction, and at times both instructors' and learners' patience is requested. I welcome communication with all users of our new textbooks, whether instructors or students/learners.